We peruse a lot of listings here at BrickUnderground,and it's not often we see an apartment with a $150,000 price tag. 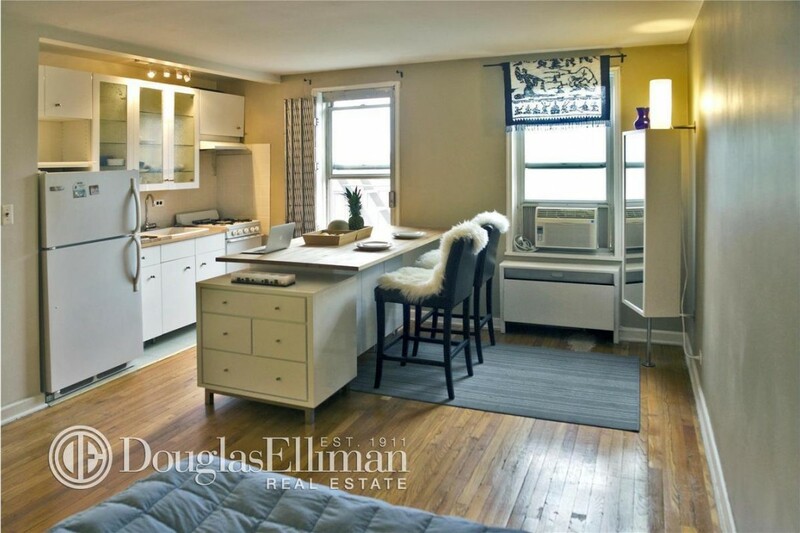 But behold this Forest Hills studio co-op, which is truly affordable—a rarity in these parts. The apartment is small, yes. It reminds us of a hotel room, in fact. But it's also got an updated kitchen (see below) and what appears to be at least one pretty large closet or pantry (also below). Note: The kitchen does appear to have a smaller oven, but at least there's a good amount of storage space — and an island! We're not sure if this is a pantry or a closet ... but it's useful nonetheless. Don't let the air mattress turn you off. We imagine you could fit a full-size bed and a dresser in this sleeping area. Just don't expect to have much privacy or entertaining space. The apartment is located just a couple of blocks from the E and F train, and in a complex with a back yard. The doorman building also has an elevator —good thing, because this apartment's on the seventh floor. There's a live-in super, too. It's also about $20,000 less than the median price of a studio in the neighborhood. 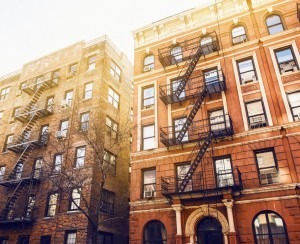 So if you want a quiet neighborhood on a budget — and don't have much stuff — we suggest you consider this for your starter apartment.